This volume is the result of a conference held by the Asan Institute for Policy Studies in November 2011. Organized in the aftermath of the crisis presented by the triple disaster that struck the Tohoku region of Japan the previous March 11, the conference had as its overarching theme “Japan in Crisis: What Will It Take for Japan to Rise Again?” Many authors began by addressing the question of what it would take for Japan to “recover” from 3/11 but, while that disaster was in everyone’s mind, it was just the latest in a series of challenges that have plagued the country since the bursting of its economic bubble at the end of the 1980s. The most obvious concerns to many were dealing with the series of troubles associated with 20 years of slow-to-no economic growth; one of the industrial world’s largest levels of unbalanced national budgets with debt repayment taking an ever larger segment of those budgets; an aging population and the rising health and welfare costs associated with that demographic shift; rising unemployment and underemployment, particularly among the country’s youth; and declining labor and capital productivity—to name only the most obvious of the country’s more formidable problems. But Japan’s lost two decades reflected more than economic troubles. The lethargic political response from Tokyo to the crisis of 3/11 seemed but the most recent manifestation of the deeper problems within the country’s politics and the political system’s persistent inability to generate effective problem-solving leadership. The country’s prime ministers and cabinets had the shortest tenure within the 20-plus rich democracies in the Organisation for Economic Co-operation and Development (OECD), agencies seem to devote as much energy to turf battles as to resolving the country’s monumental structural problems, policy stumbles and fumbles were frequent, and citizen trust in politics was laughably low. Japanese society confronted problems of rapid aging and declining birth rates. But few solutions seemed palatable, including serious moves toward gender equality in the workplace, a less xenophobic resistance to immigration, or granting full citizen rights to Japan’s long-suffering Korean minority. Adding to Japan’s myriad troubles were problems in its foreign relations. Its alliance with the United States showed signs of mutual frustration; Japan’s Asian neighbors, but most especially South Korea and China, remained deeply mistrustful of its trajectory; and even cooperation on regionally common problems such as disaster preparation have been slow to develop. Such an array of problems would be monumental for any country to confront. Dealing with all of them as a prelude to a new rise would likely confine Japan to immobility. Clearly some of the problems were hardly unique to Japan, and far more manageable to solve than what the country’s and the outside world’s often hyperventilating media might suggest. Nor did the conference participants have any illusions that some magic wand could be found that would eradicate them all with a wave. Most of the chapter writers addressed quite specific dimensions of the current problems areas and went on to offer tangible and pragmatic proposals for action. 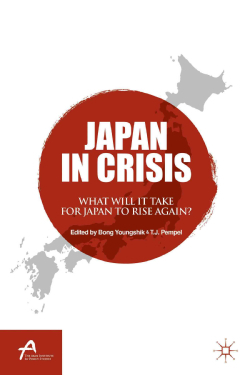 Yet the range of the chapters and the problems they address make it obvious that any path toward reversing some of the worst trends of the past two decades will be strenuous to navigate and not without considerable painful departures from the path Japan now treads. Bong Youngshik is a Senior Research Fellow and the Director of the Center for Foreign Policy at the Asan Institute for Policy Studies. Before joining the Asan Institute, Dr. Bong was an Assistant Professor at American University’s School of International Service in Washington,DC from 2007 to 2010. He was also a Freeman Post-Doctoral Fellow at Wellesley College and Assistant Professor of Korean Studies at Williams College in Massachusetts. 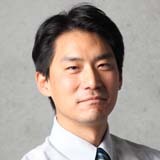 His research focuses on the interplay between nationalism and security issues including Dokdo and other island disputes in Asia, anti-Americanism and ROK -US alliance. He holds a Ph.D. and an M.A. in Political Science from the University of Pennsylvaniaand a B.A. from Yonsei University. 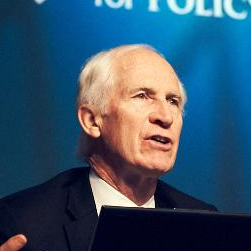 T.J. Pempel is the Jack M. Forcey Professor of Political Science at the University of California, Berkeley. He served as the Director of the Institute of East Asian Studies from 2002 until 2006. His research focuses on comparative politics, Japanese political economy, and Asian regional issues. His most recent publications include, Security Cooperation in Northeast Asia (New York: Routledge, 2012, Co-editor with Lee Chung Min) and “Soft Balancing, Hedging, and institutional Darwinism: The Economic-Security Nexus and East Asian Regionalism” (Journal of East Asian Studies, 2010). He received his Ph.D., M.A., and B.S. from Columbia University.